Elliptical-shaped silicone teat closely mimics a mother’s breast to simulate a real latching experience, making combining breast and bottle feeding possible. 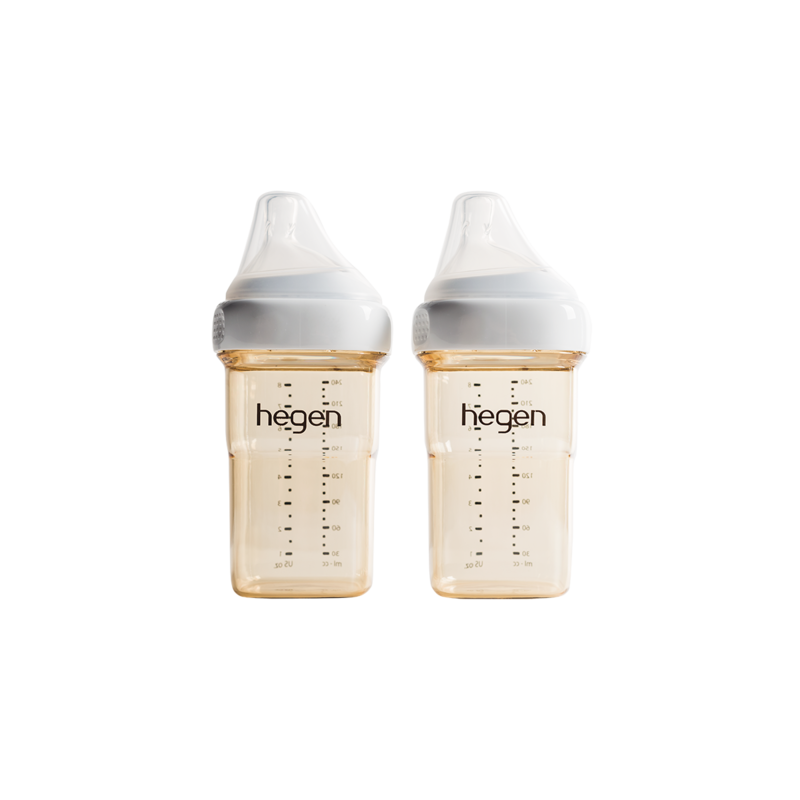 Off-centre teat enables your baby to feed in a natural upright position. 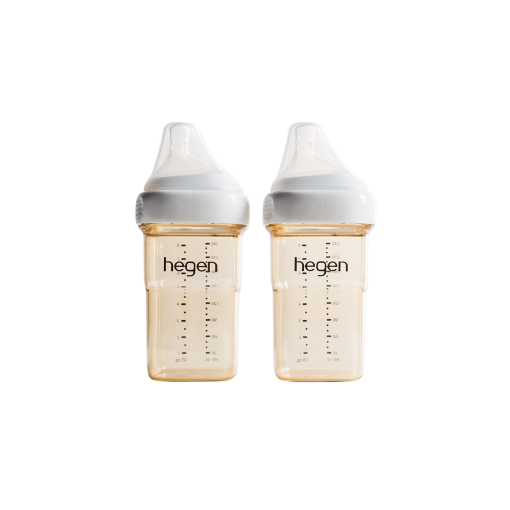 Hegen PPSU range is made of FDA compliant food-contact grade and NSF certified medical grade material. PPSU is widely used in the manufacturing of medical appliances due to its superior toughness and high temperature resistance. 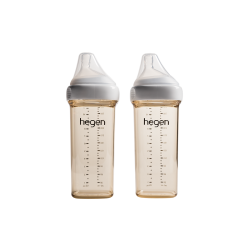 It combines the advantages of both glass and plastic materials; BPA-free and lightweight. PPSU is naturally amber-coloured and contains no artificial pigments. Simply swap adapters, feeding collar and storage lids to express, store and feed in a single container with no wasteful transfer of milk, making every drop count! 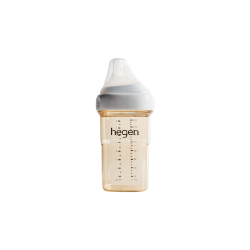 A Hegen is both aesthetically pleasing and inherently functional!